Positioning Accuracy – Loki uses the new AsteRx-m2 multi-frequency, multi-constellation GNSS engine from Septentrio. With 448 hardware channels, finding and locking satellites is not a problem! Loki is a self-contained kit that provides all of the hardware and software needed to equip your drone with a Post-Processed Kinematic (PPK) multifrequency, multi-constellation, differential, carrier-phase Global Satellite Navigation System (GNSS). Using a local base station (not included), Loki provides centimeter level positioning with minimal, and in some cases, no ground control points (though GCPs are always recommended for quality assurance). DroneDeploy of San Francisco has become the leader in cloud-based processing for DJI (as well as other) drones. 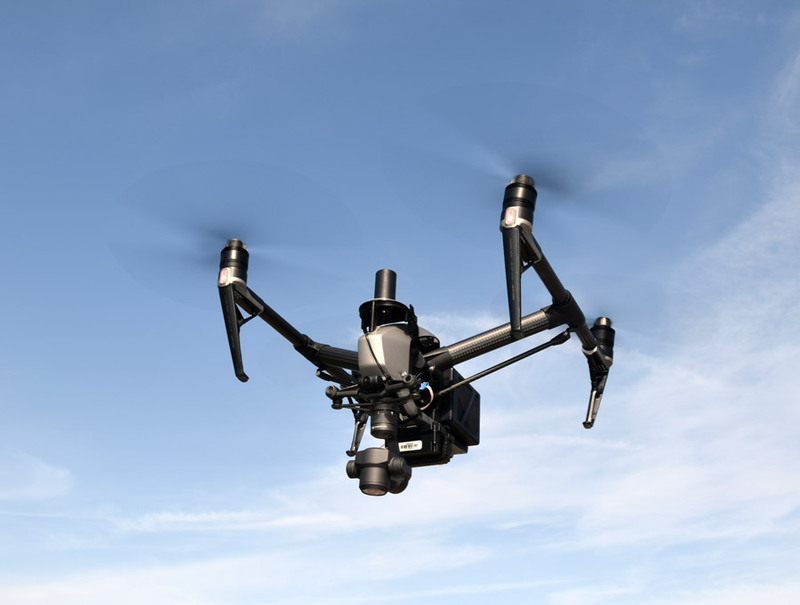 They have enabled users of Phantom and Inspire drones to easily upload drone images, work on-line with analytics, and download point clouds and orthophotos to desktops for advanced processing. Without Loki, achieving acceptable network accuracy requires the time-consuming placement of ground control targets throughout the mapping site. GeoCue and DroneDeploy have been working together to ensure a smooth Loki-DroneDeploy workflow from field to finish. Loki PPK Controller using the Septentrio AsteRx-m2 GNSS engine (GPS L1, L2, L5 and GLONASS L1, L2, L3, 448 hardware channels). Loki requires a local multifrequency base station (not included but available from GeoCue). Loki is shipping to early adopter customers in August 2017. It will be available for the general market in September 2017. It will release with direct support for DroneDeploy and AirGon’s Bring Your Own Drone (BYOD) Mapping Kit. Loki’s introductory price will be USD $4,995. GeoCue is currently accepting preorders. Loki will be on display September 6-8 at the InterDrone 2017 conference in Las Vegas and at Commercial UAV Expo, also in Las Vegas, October 24-26. A workshop dedicated to high accuracy mapping with DJI drones using Loki is being held in conjunction with the Commercial UAV Expo. Register at www.expouav.com. Septentrio designs, manufactures and sells high-precision multi frequency multi constellation GPS/GNSS equipment which is used in demanding applications in a variety of industries such as marine, construction, agriculture, survey and mapping, GIS, UAVs as well as other industries. Septentrio receivers deliver consistently accurate GNSS positions scalable to cm-level, and perform solidly even under heavy scintillation or jamming. Septentrio receivers are available as OEM boards, housed receivers and smart antennas. Septentrio offers in-depth application and integration support to make its customers win in their markets. Septentrio is headquartered in Leuven, Belgium and has offices in Torrance, CA and Hong Kong, and partners throughout the world. To learn more about Septentrio and its products, visit www.septentrio.com. DroneDeploy is the leading cloud software platform for commercial drones, and is making the power of aerial data accessible and productive for everyone. Trusted by leading brands globally, DroneDeploy is transforming the way businesses leverage drones and aerial data across industries, including agriculture, construction, mining, inspection and surveying. Simple by design, DroneDeploy enables professional-grade imagery and analysis, 3D modeling and more from any drone on any device. DroneDeploy users have mapped and analyzed over 8 million acres in over 135 countries. DroneDeploy is located in the heart of San Francisco. To learn more visit www.dronedeploy.comand join the conversation on Twitter @DroneDeploy.